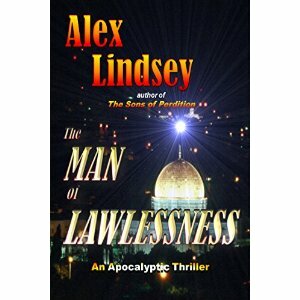 Alex Lindsey's "The Man of Lawlessness" is an apocalyptic thriller that ties together current events, religious ideologies, and apocalyptic scenarios. The story follows two federal agents as they try to get to the bottom of a dystopian scenario that eventually leads them to a revelation of the Man of Lawlessness. Lindsey expertly weaves together fact and fiction to create a powerful story that is both entertaining and thought-provoking. Each chapter begins with a fictional news story that are eerily realistic and very well may be the headlines of tomorrow. One of my favorite things about the book is how Lindsey's writing pulls the reader into the story, with interesting characters and a fast-paced plot that make the story come alive. A recommended read for anyone who loves thrillers!